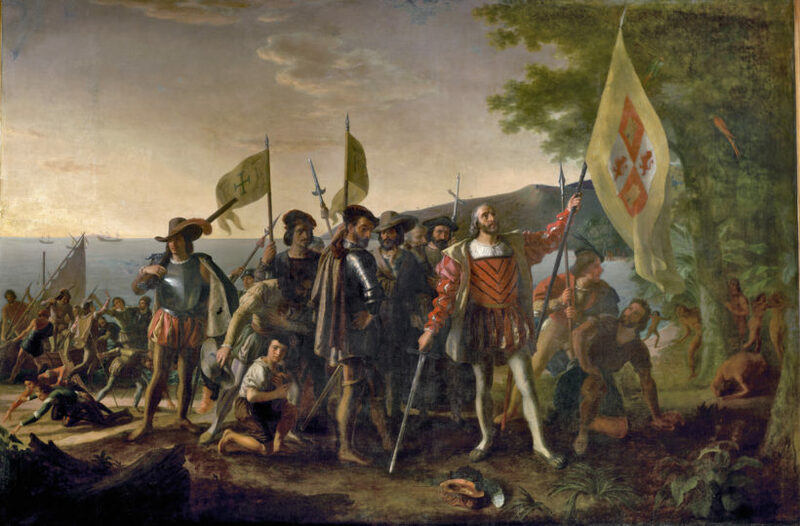 (from Dave Barton, Wallbuilders) – Traditionally observed on the second Monday in October, Columbus Day commemorates the landing of Columbus in the “New World” (on a small island off Florida) on October 12, 1492. [O]ur Lord opened to my understanding (I could sense His hand upon me) so it became clear to me that it [the voyage] was feasible. . . . All those who heard about my enterprise rejected it with laughter, scoffing at me. . . . Who doubts that this illumination was from the Holy Spirit? I attest that He [the Holy Spirit], with marvelous rays of light, consoled me through the holy and sacred Scriptures . . . they inflame me with a sense of great urgency. . . . No one should be afraid to take on any enterprise in the name of our Savior if it is right and if the purpose is purely for His holy service. . . . And I say that the sign which convinces me that our Lord is hastening the end of the world is the preaching of the Gospel recently in so many lands. Americans celebrated Columbus’s discovery of the New World and built numerous monuments to him in the late 19th century. The city of Columbus, Ohio was established in 1812. In addition, cities and towns, streets and health facilities, libraries, universities, schools, and in modern times sport teams bearing his name are symbols of his American stature. Columbus Day is a national holiday in the United States, proclaimed so in 1937 by President Franklin D. Roosevelt. At a very early age I began to sail upon the ocean. For more than forty years, I have sailed everywhere that people go. I prayed to the most merciful Lord about my heart’s great desire, and He gave me the spirit and the intelligence for the task: seafaring, astronomy, geometry, arithmetic, skill in drafting spherical maps and placing correctly the cities, rivers, mountains and ports. I also studied cosmology, history, chronology and philosophy. It was the Lord who put into my mind (I could feel His hand upon me) the fact that it would be possible to sail from there to the Indies. All who heard of my project rejected it with laughter, ridiculing me. There is no question that the inspiration was from the Holy Spirit, because he comforted me with rays of marvelous illumination from the Holy Scriptures … encouraging me to continually to press forward and without ceasing for a moment they now encourage me make haste. For the execution of the journey to the to the Indies I did not make use of intelligence, mathematics or maps. It is simply the fulfillment of what Isaiah had prophesied. All this is what I desire to write down for you in this book. PLEASE NOTE: For Holiday postings including Columbus Day we do not provide an “Answers” email, as the questions typically vary by a student’s own experience or are opinion questions. 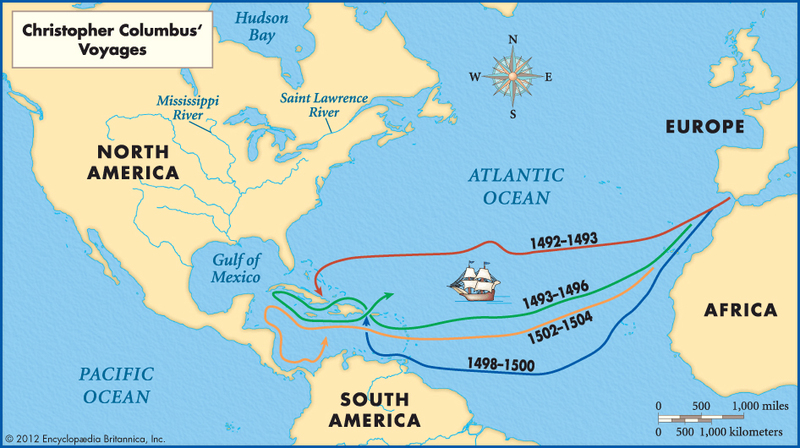 1. a) What do you know from your American History textbooks about Christopher Columbus’ motive for his voyages? b) How does that contrast with what Columbus himself wrote? 2. Which academic subjects did Columbus study? 3. Which of the following words do you not associate with Christopher Columbus: adventurer, discoverer, explorer, Christian, sailor. Why is this so? 4. What most surprises you about the excerpt from Columbus’ book? Why? 5. Columbus wrote a letter in 1493 to King Ferdinand’s treasurer reporting on his voyage. Read Columbus’ letter to King Ferdinand’s treasurer reporting on his voyage. Re-read paragraph 8 of the letter which begins “Yet when they perceive that they are safe…” Does Columbus’ report differ from what you have learned in your history textbooks? Explain your answer. 6. What have you discovered about Christopher Columbus (from the excerpt of his book, his letter to the treasurer, or from the links in “Resources” below) that you didn’t already know? DID YOU KNOW? … A number of places, mostly in the Western Hemisphere, have been named after Christopher Columbus. Places named after Christopher Columbus include the South American country Colombia, Washington, D.C. (District of Columbia) and Columbia, S.C. Several states in the United States, including Ohio, Georgia, Mississippi and New York have cities named after Columbus. The Columbia River was also named after Christopher Columbus, as was Columbia University in New York City. Read “Excerpts from Christopher Columbus’ Log, 1492” at: franciscan-archive.org (or with commentary at fordham.edu). Read “The Mission and Faith of Christopher Columbus” and “The Myth about Christoper Columbus” at: eagleforum.org.